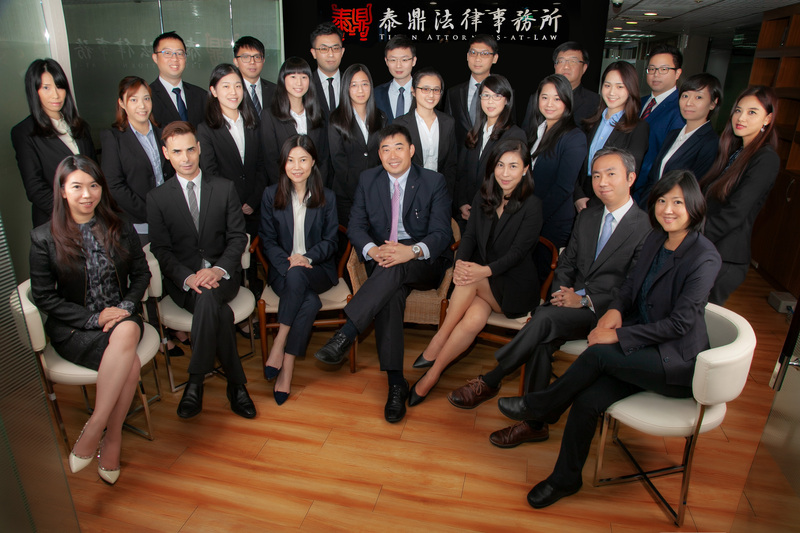 Titan Attorneys-at-Law (泰鼎法律事務所) was established in May 2014. In five years, our firm has grown dramatically. Our team includes foreign and domestic attorneys and legal professionals, emerging as a boutique business firm. Dr. Ching-Yuan Yeh, the founder and managing partner of Titan, earned an S.J.D., a J.D. and an LL.M. from University of Pennsylvania. Dr. Yeh is admitted to both Taipei and New York Bar. Dr. Yeh also served as arbitrator in several arbitration institutions, including China International Economic and Trade Arbitration Commission and Chinese Arbitration Association, Taipei. He was Chairman of Law and Regulation Commission, Taipei City Government. He was also appointed Advisor and Executive Secretary of International Affairs Advisory Council, Taipei City Government. He was junior partner at Lee and Li Attorneys-at-Law, and associate at Sullivan & Cromwell LLP in United State of America. He specializes in cross-border investment, dispute resolution, including litigation and arbitration, government procurement, consumer protection, administrative law, and constitutional law. Dr. Yeh served concurrently as deputy secretary-general at The ROC Constitutional Law Society. He is a well-known constitution law and human rights lawyer in Taiwan. He has represented “Jehovah's Witnesses” to petition the President for amnesty. He not only helped them regain their freedom, but also helped with establishing the Substitute Military Service. Dr. Yeh has participated in J.Y. Interpretation 499 application, and helped with defining the boundaries of our constitutional rights. Ms. Jessica Chen earned an LL.B. degree from National Taiwan University and was a visiting scholar in University of California, Berkeley, School of Law. Ms. Chen passed the senior civil service examination (for legal official of banking and finance), the bar examination and the judiciary examination. She has been an admitted attorney and patent agent since 1994. Ms. Jessica Chen served as a vice president of department of legal and regulatory at Fareastone Telecommunications Co. Ltd. (“FET”) for almost 13 years. During this period, she also served as the corporate secretary of FET and the directors of FET’s subsidiaries. Prior to joining FET, Ms. Chen practiced banking and finance laws at Lee & Li attorneys-at-law for 2 years. Earlier in her career, Ms. Jessica Chen served in Judicial Institutions for 7 years, including served as a judge at Taipei District Court, a prosecutor in New Taipei City, Kin-men, and Shi-lin District Prosecutors' Offices. During this period, in addition to civil and criminal litigations, Ms. Chen mainly specialized in intellectual property cases. Intergrading over 20-year practicing experiences in public listing company, law firm and judicial institutions, Ms. Jessica Chen specializes in corporate law, corporate governance, competition law, mergers and acquisitions, telecommunications and media laws, intellectual property law, personal data, information security and trade secret laws, civil and criminal litigations, legislative proceedings and tactics. In addition to these senior core members, our professional team includes senior lawyers and senior legal managers of multinational corporation (Please refer to “Professionals”). Our team specializes in traditional litigation, arbitration, dispute resolution of government procurement, intellectual property, mergers and acquisitions, labor disputes, drafting and amending legislation, media strategy and policy analysis. We strive to build an international, comprehensive one-stop legal services (Please refer to “service”). “泰” refers to Mt. Tai, the most sacred mountain of the “Five Great Mountains” of China. “鼎” symbols the eternity of a state. We, inspired by Mt. Tai and the sacrificial tripod, vow to provide quality and solid legal services to our clients.